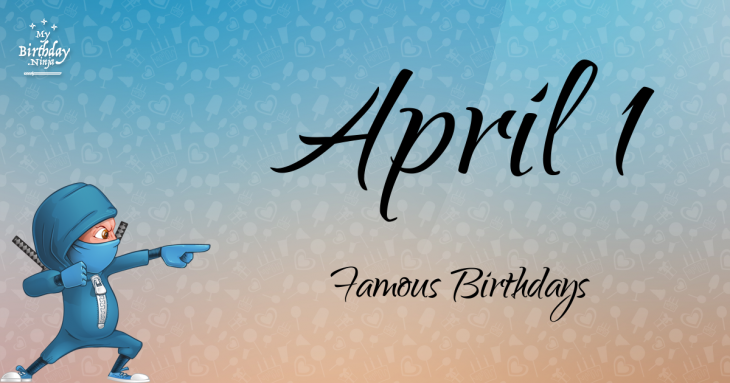 Famous Apr 1 birthday celebrants include Sam Huntington, Jennifer Runyon, Philip Margo, Richard Christy, Sid Field, Kris Marshall, Matt Lanter, Leora Dana. The epic list contains 320 persons. Showing 1 - 30.